Autumn Term 2017/18 SEN Update: I’ve Been Busy Again! Welcome back after another summer break. Although, usually, August is a quieter time of year for me in terms of the work that I do (as June and July are extremely busy with appeals to the SEND Tribunal about getting children/young people into schools/colleges for the start of the new academic year in September), this summer was actually much busier for me than usual. This is because, not only did a few of my cases seem to run on through August, but I have also been very busy doing some other things in preparation for this update. I will tell you more about this below. YOU CAN NEVER BE TOO SAFE, CAN YOU? Don’t forget, to ensure that you never miss out on one, you can get my SEN updates personally by completing your email details below, using our App ‘SEN.fyi’, or by following me on one of the Social Media platforms that I use, at the top of this page. You can also easily share this update with others (please only do so if it may be relevant to them) by using one of the icons to the right of this page (if on a computer), at the bottom of this page (if on a mobile device), or on our 'SEN.fyi' App (by using the ‘share’ feature at the bottom of the page). If you’ve read these SEN Updates before, you probably already know that I always like to keep myself busy with casework and looking for new ways to help people. The most important thing for many of you reading this, is that I have now created a brand new page under the ‘SEN Online’ tab called: ‘SEN News (Daily)’. On it you will find that I have now collected the Twitter feeds from my 10 most favourite sites that provide daily/weekly/regular information about SEN. This means that now there is just one page that you need to bookmark on the internet, in order to find out the latest news about SEN issues. This also means, effectively, that there is just one place that you can look at however often you need to keep abreast of what is going on in the world of SEN, without having to either be a Twitter subscriber yourself, or trawl around the internet looking for things. I do hope that this helps people. I have also updated my free eBook ‘A Guide to the SEND Code of Practice’ for 2017/18 (which you can also find on the Kindle store, as well as downloading here for other mobile devices, or as a PDF). Anyone involved in Complaints/Appeals/Dispute Resolution. If you are one of these types of people, I strongly advise you to get hold of a copy, if you haven’t done so already. The unique thing about this Guide (unlike any other guide I still have ever come across) is that, as an eBook only, it includes internal as well as external links to all relevant legislation, regulations and guidance needed (e.g. the whole Code of Practice, Children and Families Act and the new SEND Regulations are actually included and linked so you can find them easily). Like other eBooks, it is also easily carried around on a mobile device and can be used to make highlights/notes/bookmarks. I have additionally updated our ‘SEN.fyi’ App (which is also freely available to download on the Apple App Store or Google Play Store). Not only does it include a free copy of the Guide (so that you will always have everything you want to know about SEN all in one place), it also has the same section on daily News (which I have now matched on our website), together with a copy of all of my SEN Updates (with links where relevant), as well as other features available on our website such as ‘FAQs’, (about SEN/disability/education law) etc. If you have already downloaded it to your smartphone or tablet (or for those of you who are now about to download it), you should also notice that there is now a ‘speed bump’ so the App should be quicker and more responsive. 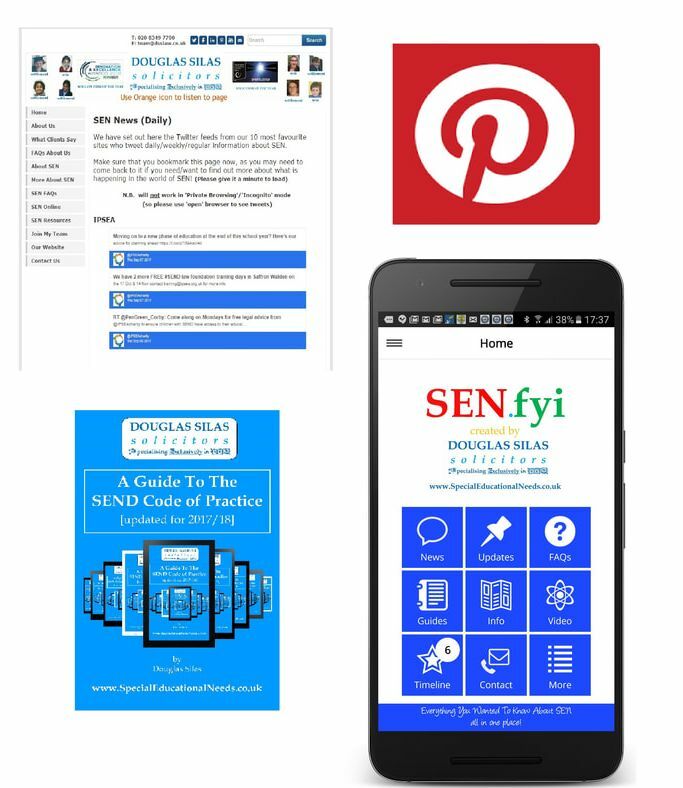 Finally, I have also upgraded our Pinterest boards (which were already quite good) with even more information about SEN/disability/education. Honestly, even I now feel a bit overwhelmed by how much information about SEN that I am providing for free to so many thousands of people. ​It really amuses me now sometimes to hear from many different types of people, that when they were looking up information about a condition or to find out more about something to do with SEN, when they typed the search term into ‘Google’ or similar search engine, that the first website that they came up with was mine! ​YOU CAN NEVER BE TOO SAFE, CAN YOU? As you can see from the above and by looking at our website, making people’s lives easier is essentially what I am about but, whilst I will always try and do this generally for all people, I have a particular passion and concern for children or young people that I represent, usually through their parents. I have become increasingly aware of email/internet safety issues in recent years and have also become increasingly conscious of the potential difficulties with transferring documents to and from clients via email. Everywhere you turn these days, you now seem to get news of an organisation being ‘hacked’ or documents being accessed by people who shouldn’t have access to them. This has been especially exacerbated during the last year with a number of cybersecurity breaches making the news. Although some of my clients have told me that they are not overly concerned about us sending them (or them sending us) documents by email regarding their child, I have felt that I should still be proactive about this issue. With these concerns and knowing that we send and receive so many emails these days and that people often additionally face time difficulties trying to locate things that they need, by having to trawl through emails. Plus the increasing use of mobile devices and the fact that I know that people want to be able to quickly access things on the go, no matter where they are; I am extremely excited to announce that, (with the assistance of my friends at ‘docSAFE’) I am now implementing a security system for documents we send to our clients. You will therefore now see that at the bottom of every page on our website there is a link to the docSafe portal for both desktop and mobile (please do not worry, no-one else but our clients and us can access it) which, hopefully, solves not only the problem of not having to email documents to people, but also provides an easy place for our clients now to access (securely) everything that they need in their case. It is also all stored in one place for them at any time they need it, wherever they are, no matter what device they are on. I am quite excited about this very important development, which should help our clients. As I have said before, I have always tried to keep in mind the different needs of all people, so have also worked very hard to make not only all of our services, but also this website, as accessible to as many people as possible. I would, therefore, like to remind you that this website is more accessible through a service called Browsealoud which can be accessed from all devices. Browsealoud provides easy text-to-speech, accessibility and translation tools (the main one being that any part of the text on this website can be read out to you). To use the accessibility options, you just need to click on the orange speaker button at the top right hand side of every page (if you are using a computer) or at the bottom right hand corner (if you are using a mobile device). Using a screen mask which blocks ‘screen clutter’ and shadowing. As I have also said before, that is what I call real accessibility. Every year at this time at the start of the new academic year, I usually say that there is nothing for me to report about recent SEN events that I have been to. This year is just the same. 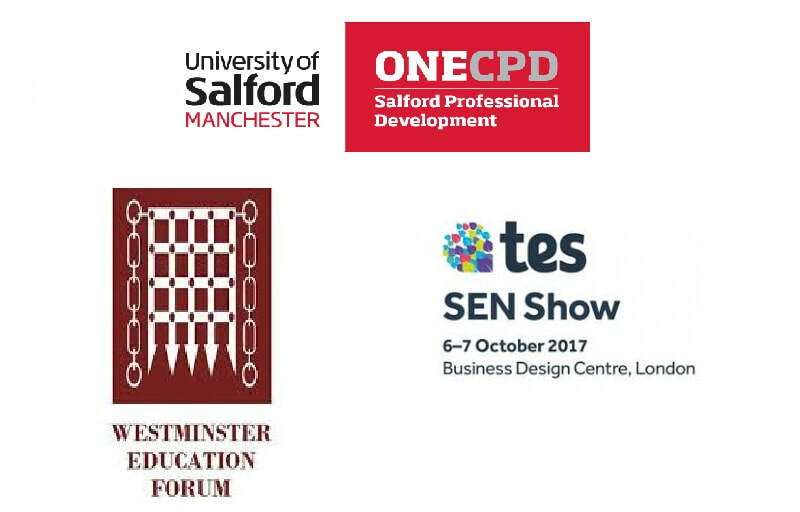 The SEN conference at Salford University on 15 November 2017 entitled: ‘Innovations in Inclusive Learning’ in Salford, Manchester. I always like to end my SEN updates with personal stories from my perspective as a disabled person using a wheelchair. This time I want to share with you the frustrations that I often feel (or other people with me usually feel even more than I do) when non-disabled people use the disabled toilet, which leaves me having to wait (this section of my update today is longer than usual). Due to the nature of my condition, I sometimes need to use the toilet fairly quickly when I am out. But sometimes it can take some time to locate a disabled toilet - it is not unknown for me to have to spend a good 15 minutes having to hunt around a building to get to one (and, on the way, having to get people to help me by opening doors or similar, or allow me through hidden passages to gain access). 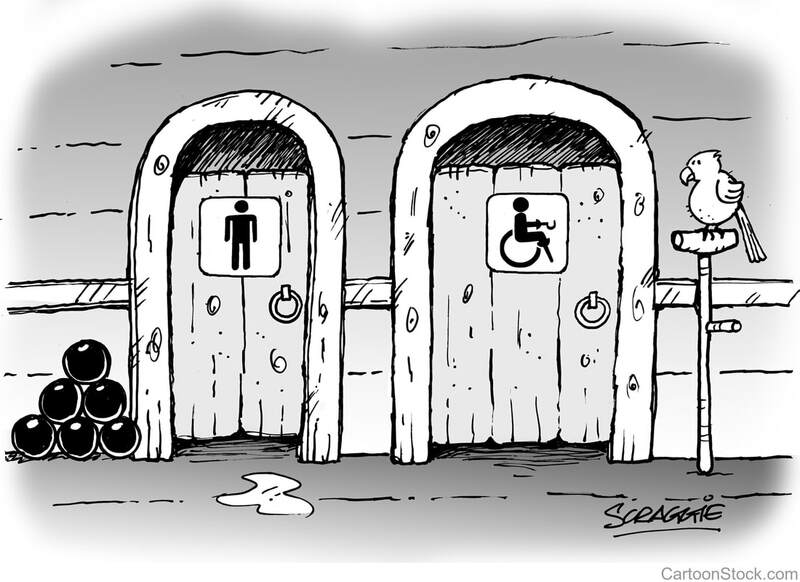 I even sometimes find that when I eventually get there, the ‘disabled toilet’ is actually not accessible to me at all and I struggle to get in there with my wheelchair, as it has been made so carelessly. It is even not unheard of sometimes that I have had to get out of my wheelchair and leave it outside, in order to be able to get into the toilet itself! Another example is the disabled toilet being used as a store-room or not being maintained properly. For example, one venue (for hearings that I have been to at the Royal Courts of Justice, no less), did not have a light replaced in it for many months, meaning that I have to find my way around it in the near dark (not so easy when you also have a visual impairment). It still baffles me how people can actually think that these are really accessible toilets? Disabled toilets for some years (such as at train stations) are locked and need a ‘Radar’ key to open (a universal system which means disabled people can buy one to keep, or easily obtain a key from a member of staff (to prevent misuse by other people). However, generally, disabled toilets are left open and therefore able to be used by non-disabled people, as well as disabled people. But I never used a disabled toilet when I was a non-disabled person earlier in my life (I became disabled about 13 years ago) and you would think that other non-disabled people would also not? But this is not so in my experience. They often do not say anything when they come out and are usually extremely embarrassed when they see a chap in a wheelchair waiting to use it after them, so they then try and open the door for me so that I can go in. I sometimes do not say anything, because I do not want to make them feel bad about what they have done, but I have sometimes pointed out to them politely that, whilst they can use the ‘normal’ toilets available to them, I cannot. Of course, I do not expect toilets to always be available to me, when I need to ‘go’. I am always prepared to wait my turn if another disabled person is using the toilet [please also remember that, even though that person may not look disabled physically at first glance [such as is obvious with me when I am sitting in my wheelchair], they may still have an ‘invisible disability’ which requires them to use the disabled toilet). When I do eventually locate a disabled toilet, I sometimes find that someone else is using it and, when they do, I invariably find that it is a non-disabled person, who usually works in the building (e.g. a worker in the offices [often from another floor] or another employee [e.g. I sometimes find this at my gym]). They can be quite embarrassed when they come out and see me waiting to use it and often appear quite sheepish, then look down and try and get away as quickly as possible. However, I have also found that some people can become quite defensive and try and pretend that they have done nothing wrong (although ironically, this makes it even more obvious that they know that they have been found out]). In any event, I find that, whatever happens, it can cause me further delay in me being able to use the toilet. I have also found that one of the most common forms of denial is when people convince themselves that it is alright to use a disabled/accessible toilet when they need to use a toilet. I was at a large exhibition. When I eventually located one of the few disabled toilets (there was only one I could eventually find after quite a bit of searching), I found that someone was already in it. I therefore waited patiently, having to listen to noises emanating from the toilet from someone soon using a hand-dryer. Usually, when you hear this, the person comes out soon afterwards, but this time they didn’t and I then heard the dryer sound a few more times on and off, with the sound of a deodorant (or perfume) being sprayed. This went on for over 10 minutes more than I expected. When the door eventually opened, I saw that it was opened by a young woman who seemed to have been using the disabled toilet as her own personal bathroom to put on her make-up, get ready, or generally preen herself. She was obviously quite shocked when she came out and saw me waiting there. I have already said above, that sometimes I point out to the person that they could have used one of the [usually many other] ordinary toilets, but I can only use this one. But I have also found, over the years, that sometimes the most effective way to get my message across is actually to say nothing. So, on this occasion, although the woman tried to hold the door open for me to go in, I didn’t take her up on her offer and did not even move. I just waited for her to leave and get even more embarrassed before eventually skulking away, saying to myself that I was not going to say or do anything to try and make her feel better. A bit harsh, I know, but sometimes you need to make a point, don’t you? complete the survey under the ‘Feedback’ section (if reading this on the 'SEN.fyi' App). There are just 3 quick questions.